We specialise in the purchase, sale and supply of fuel and lube oil to ships. We also help manage risk on fuel expenses. 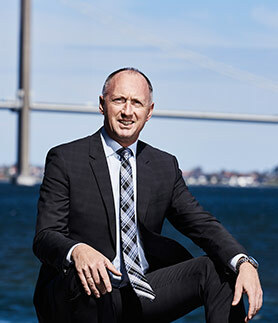 "We are a global leader in bunkering, and we aim to grow." Bunker Holding is one of the world’s leading companies in bunker trading. Our history as one of the pioneers in bunkering inspires us to be ever forward-looking and goal-oriented. Family ownership allows us to remain grounded in our values, and to stay the course in our vision of sustainable development. Bunker Holding is a global organisation with one aim only: To fuel the shipping industry. Their demand for energy is always changing and expanding. We answer these challenges by constantly exploring new opportunities and offering innovative services and products.